A pride of predatory cats goes on the prowl at the Silverstone Classic and David Brabham is reunited with his class-winning Le Mans car. 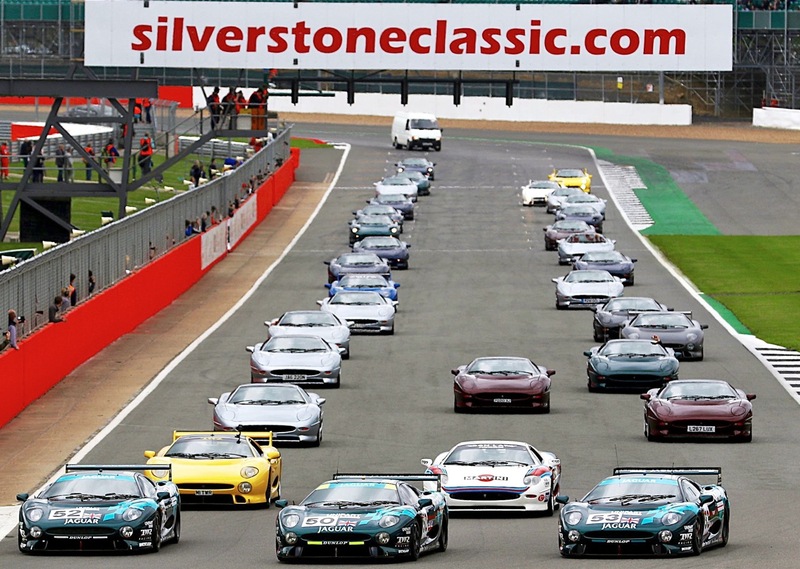 More than 40 Jaguar XJ220s came together at the Silverstone Classic on July 29th, in a record-breaking reunion to mark the 25th birthday of what was once the fastest production car in the world. The dramatically styled, mid-engined, two-seat Supercar was introduced in 1992. With a top speed of 212.3-mph, it was Jaguar’s quickest road-going car – an accolade it still holds to this day. Just 271 XJ220s were manufactured in tandem with Jaguar’ competition partner Tom Walkinshaw Racing between 1992 and 1994 – each priced at an eye-watering £470,000 – and such is their rarity that no more than a handful have ever been seen together. 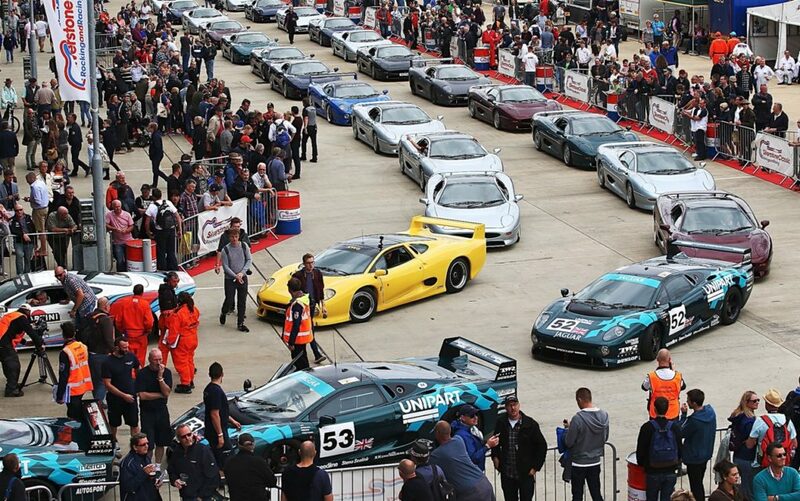 Curated by renowned XJ220 specialist Don Law Racing, the unprecedented display of 42 XJ220s from all around the globe helped to create a spectacular on-track parade. It was led by David Brabham driving the very #50 car – now owned by JD Classics – in which he claimed GT class victory at Le Mans in 1993 before being controversially disqualified. 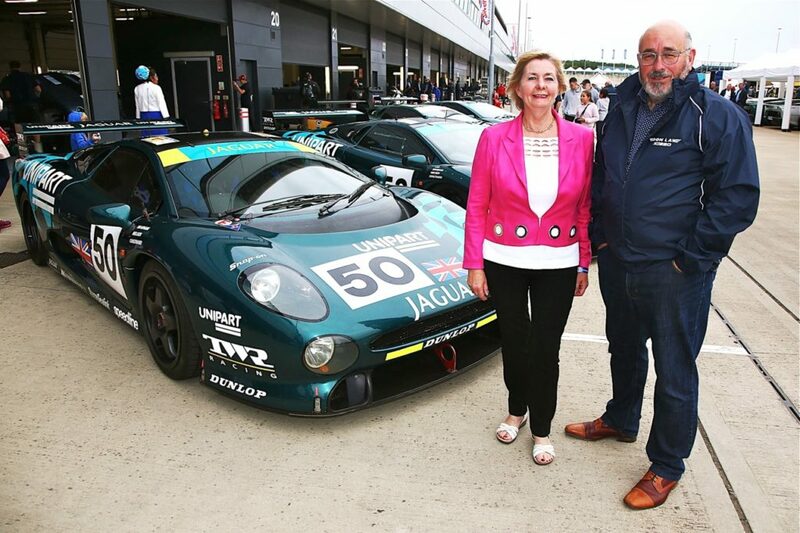 Tom Walkinshaw’s widow, Elizabeth, below, with Don Law, attended the event. All four competition specification XJ220Cs in existence were on show at Silverstone, including the #52 team car which had come all the way from Japan just to be part of the anniversary celebrations. Others to participate in the showcase included Tiff Needell – who similarly raced an XJ220 at Le Mans, in 1995 – and Don Law, the undisputed doyen of the marque’s most famous supercar and the mastermind behind the gathering. “What a spectacle, with the three Le Mans cars at the front in an arrow formation and all the other cars behind – absolutely incredible,” enthused Law, who drove the XJ220-powered van – originally used as a test mule – at the rear of the parade. 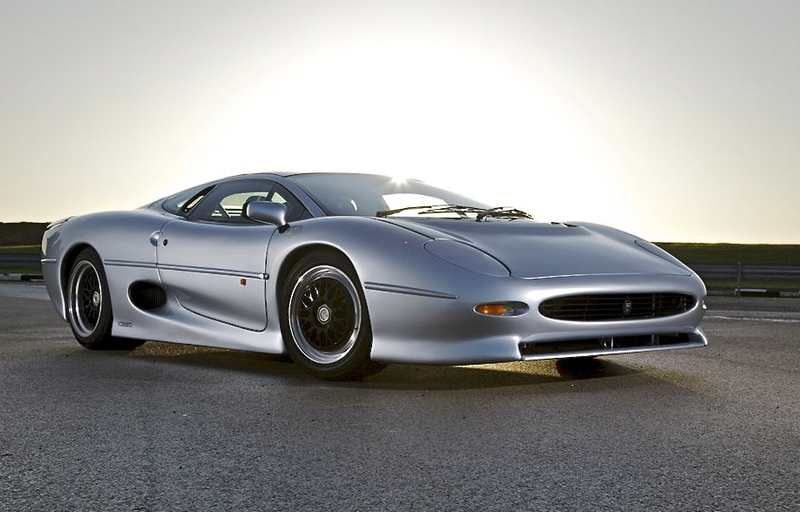 Although originally conceived to feature a V12 engine plus four-wheel-drive, to meet emissions legislation and performance targets, the showroom XJ220 model arrived with a 3.5-litre, twin-turbocharged V6 developing 542 horsepower, delivered to the rear transaxle via a five-speed manual gearbox. Among the invited guests with close ties with the illustrious car’s design, development and on-track success were Jaguar Engineering Director Jim Randle and senior sports car designer Keith Helfet, the brains behind the XJ220’s stunning and ageless styling. Both were leading lights in the famous ‘Saturday Club’, whose members secretly built the original concept car in their spare time.